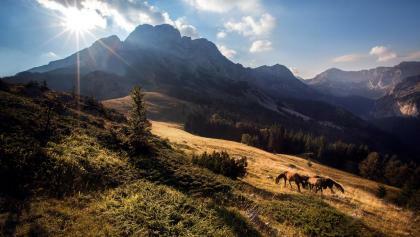 New attractive accommodation in the Sutjeska National Park! 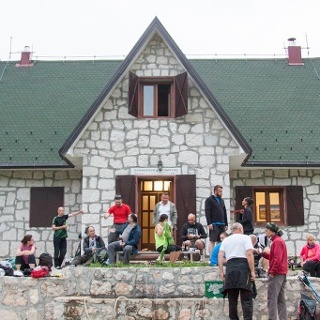 At Prijevor locality at 1700 MASL, just beneath Maglić Mountain, there is new accommodation built in a traditional style, fully equipped to satisfy the needs of any hiker. 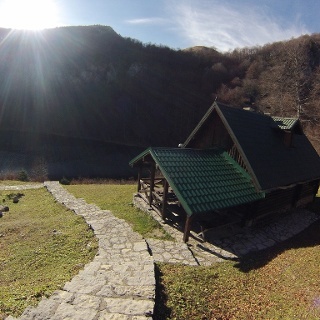 Three summer pasture huts have a total capacity of 18 beds, with a bathroom and small kitchen inside. You can prepare meals yourself or you can arrange it with the park staff – you can even order a full board. If not arranged in advance, there is no public transport to the location. It is accessible by macadam road, and we advise to drive carefully if not coming with a 4x4 vehicle. From Tjentište to Prijevor there is a macadam road. You will find sign posts on the side of the road that will guide you to the Prijevor. Otherwise, if following the map, there will be a road on the left leading to Vučevo; take the other road going slightly right, which will lead you through thick forest directly to Prijevor. You can leave your car at a parking lot at Prijevor, or on the lay-by where allowed. Huts need to be booked in advance.